Specially designed to work with electronics machines, these tweezers with anti-magnetic stainless steel handles feature durable self-aligning replacement tips. Compatible with tips of different shape and material (such as carbon fibre, PVDF, carbon PEEK and Delrin) they offer a significant cost savings. 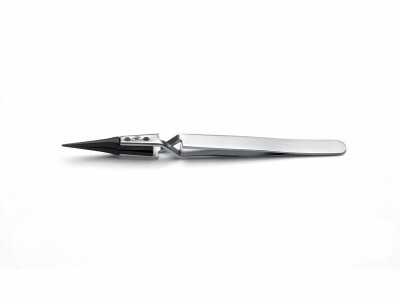 Replaceable tip tweezers are excellent for handling sensitive electronic components, and ideal to work with ceramic and glass parts where non-metallic non-scratching tools are critical. The degree of compatibility with different materials can be easily checked on the Chemical Compatibility Plastic Material Chart for CF, CP, LC, SV and DG provided by Ideal-tek. Best for: high temperature applications, soldering, handling of components in cleaning/ chemical processes. Best for: sensitive electronic components, micro-mechanical parts, glass and ceramic substrates. Best for: scratch-sensitive components such as ceramic, glass devices and wafers. Best for: scratch-sensitive components, clean room/ contamination-sensitive components, cleaning and etching processes. Tweezers. Tips: straight, sharp, pointed. OAL: 130mm. 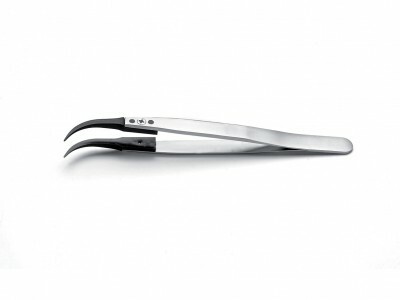 Tweezers. Tips: straight, very sharp, pointed. OAL: 130mm. 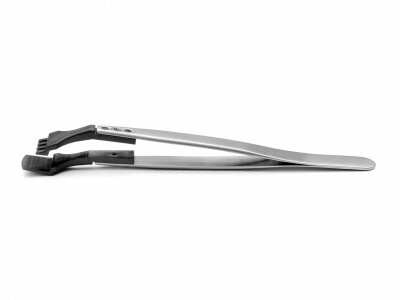 Tweezers. Tips: straight, very fine. OAL: 130mm. Tweezers. Tips: straight, very fine. OAL: 125mm. 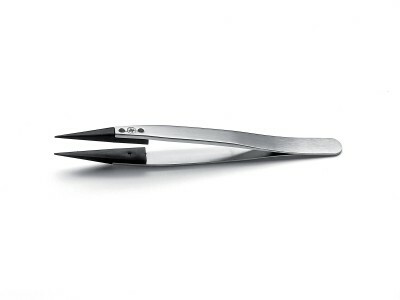 Tweezers. Tips: curved, very fine. OAL: 130mm. 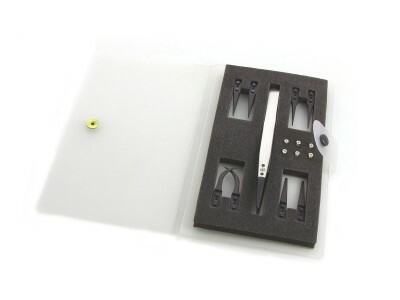 Kit of tweezers: 249CFR, A7CF, A5CF, A259CF, A2ACF.